Housing and Public Works Minister Engineer Mosharraf Hossain Saturday asked authorities concern to restrict the use of the scenic DC Hill park for staging cultural events or commercial explosions for environmental and social reasons, reports BSS. "The site could be used only to stage three events - celebrations of Pahela Boishakh, Tagore and Nazrul birth anniversaries from now on," he said launching a cleanliness campaign organised by Yoga Probhati, a platform for morning walkers at the DC Hill. The minister said 100 dustbins would be kept in the park of the DC Hill, where the official residences of the divisional and deputy commissioners are also situated, for the cleanliness and beatification of the site. 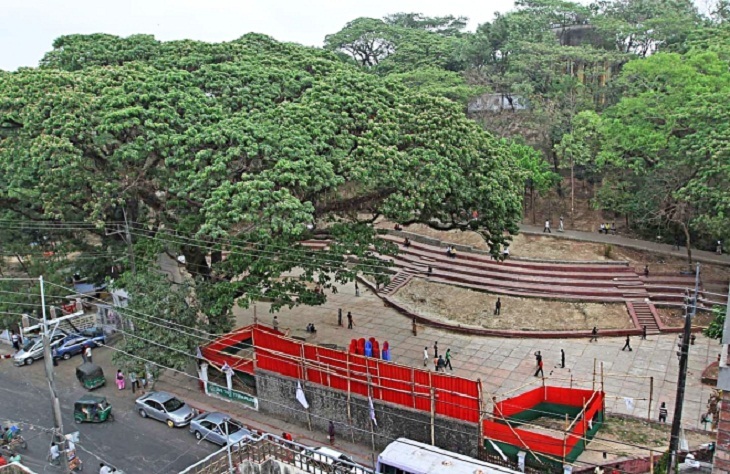 Hossain, himself a Chittagonian, said his ministry previously took an identical decision for Dhaka's premier Ramna Park, which now could be used to only to stage the three programmes - the celebrations of the Bengali New Year and the birth anniversaries of the two poets. Previously, he said, the Ramna Park was the venue of 35 programmes of various organisations throughout the year.